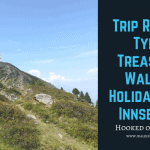 This has got to be one of the best hikes in Switzerland! This self-guided hiking vacation in Switzerland follows the Bear Trek (Bear Trail). This Swiss hike gets its name from a time gone by when the area was extremely remote and bears and wolves could be found. You don’t have to worry though, as you shall not see any bears nowadays. Experiencing some Bernese Oberland hiking, you are sure to have dramatic mountain views all around you. You may even come across other alpine trekkers who are enjoying the route. The Bear Trek is a unique trail over amazing passes and along glaciers. Along the route, you may also walk along the Via Alpina which is a network of 5 walking trails across the eight countries of the Alpine region! We have graded this self-guided walking holiday as a level 3 tour, which is aimed towards the more experienced hikers out there. As you make your way from Meiringen towards Lenk, you will be continually rewarded with wonderful alpine vistas. Come and enjoy the beautiful Alps on one of the best hiking trails in Switzerland. Get hiking in Switzerland and book today. Leave us in charge and we will organise all your accommodation, luggage transfers where required, so you can get out hiking in preparation for your hiking vacation in Switzerland. Day 2 – Meiringen-Grindelwald 8.75 miles 14km. Day 4 – Wengen/Lauterbrunnen–Griesalp/Kiental 13.8 miles 22km. Early in the morning ascent by cable car to Mürren. You walk over mostly snow covered paths of Sefinenfurgge through the breathtaking alpine scenery. Walking time 7 hours, up 2000m, down 1400m. Day 6 – Kandersteg–Adelboden 10.2 miles 16km. Today the Bear Trek will take you from the Idyllic village of Adelboden towards Hahnenmoospass. You shall see wonderful views of the peak Wildstrubel and on the descent of the valley Simmental. High level tours between 1.500 and 2.500 m on mountain paths and rocky, sometimes exposed paths are waiting for you. A sure footing, a good head for heights and certain endurance are required. Daily distances of up to 7 hours and managing of higher height differences are included. For self-guided hiking a fair mountain experience is required. Most days there is climbing or around 1000m. 6 nights in middle class hotel and 1 in a mountain hotel with shared toilets.